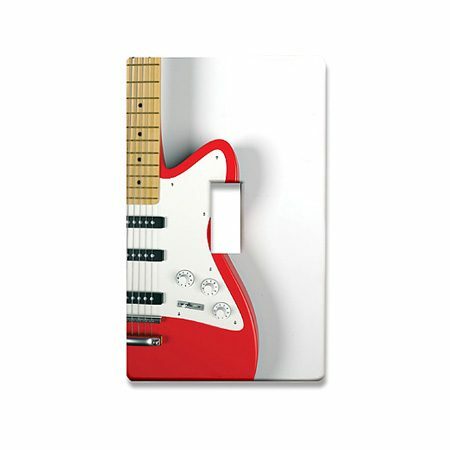 Guitar Lightswitch Plate – This Guitar Switch Plate is sure to make any room in your home rock. The switch plate’s design features a beautiful image of a red electric guitar. All guitar switch plates have their images printed directly onto them with UV coated inks so that the design will never fade or scratch off. Great for a guitarist’s studio, bedroom, or just about every room in your home! Made from hard plastic. Awesome Guitar Gifts for Guitar Fans!